Microsoft takes on Apple. Again. Remember those times when Apple took on Microsoft through short ads that compared Macs with PCs? They were fun, weren’t they? Microsoft had not retaliated then, and for a long time things went quiet. Looks like the fun times have returned – this time, it is Microsoft’s turn to poke fun at Apple. 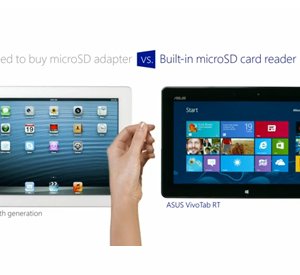 In these 2 short ads, Microsoft compares the Windows 8 tablet with iPad. Relax, and enjoy these videos! check out the Facetime for android apk download tutorial to get facetime in android.